Almost a year and a half after medicinal marijuana was officially enacted into Michigan law, there are still many opinions about what the law suggests and what it actually means. 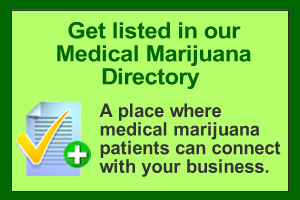 One topic of continued conversation involves growing dispensaries. While the law is purely intended to provide marijuana as a form of medicinal healing for patients and caregivers, there is still a dispute over whether dispensaries, which typically are capable of growing a more copious amount of marijuana, can eventually become money-making operation. Thompson refers to the great amount of dispensaries spread across the state of California and the commercialism which has been associated with them. He says the goal of reforming Michigan’s legislation was strictly to provide patients with medicinal marijuana, rather than start setting up dispensaries which would make money off of them. When Thompson was asked whether the medicinal marijuana law would have been voted into state law if dispensaries were included, he indicated there would not have been overwhelming support and doubted the law would have passed. As Thompson and others are against the inception of dispensaries in the state, it was ironically a NORML member who actually set up one of the state’s first dispensaries in Ann Arbor – much to the chagrin of his peers. While Thompson is a strong advocate for justice in terms of reaping the benefits of marijuana, his disdain towards dispensaries is not shared by everyone. Although there is no consensus regarding dispensaries — which are starting to show up more and more in the southeast part of the state — there seems to be agreement as to why a misconception continues to plague the state. Thompson reiterated how important the 2010 election is going to be in Michigan as 72 percent of new legislators will be voted in by the public, including a new governor and attorney general. Dagit, on the other hand, doesn’t understand why the government taxes other substances but still will not legalize marijuana. This leads to the grand question: Will marijuana laws change drastically this decade? Thompson thinks so, pointing out what has already happened in California, as well as “strong” efforts in Washington and Oregon to regulate and tax cannabis. And for people like Dagit, who have devoted countless years to the cause of bringing marijuana into the mainstream, all the turmoil may pay off sooner rather than later. With the way things have been lately, the question should be will marijuana laws change drastically this WEEK. So far, so good though.